But I can take good care of my skin and masking is a big part of my skin care routine. Designed for all skin types and rich in good, skin loving ingredients like nourishing organic, probiotic coconut milk, calming organic rice extract, and essential fatty acids including linoleic acid that hydrate skin, leaving it feeling balanced and comfortable Will Dew is a welcome addition to my skin care community. 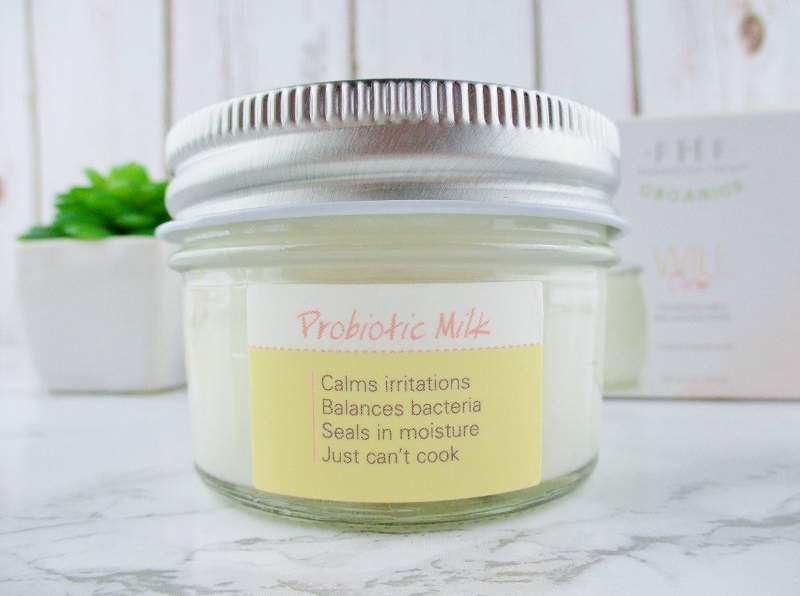 Packaged in a recyclable glass jar (I keep mine for storage of little bits and pieces) this creamy, lightweight stuff smooths across my skin and goes to work. After it dries, it rinses away to reveal fresh, silky soft skin that feels a little firmer - even the next day - and looks brighter and clearer. Gentle reader, don't let all of the pretty packaging and soft, pastel colours fool you, this mask is no joke. I do not have sensitive skin and I felt some tingling that, while not unpleasant, let me know that the mask was getting down and getting funky on my complexion. If you have sensitive skin, give it a test on a small area, just to be sure that your skin will be happy with it. Will Dew has a light, sweet/powdery kind of fragrance that shouldn't be disagreeable to anyone but the most scent sensitive. 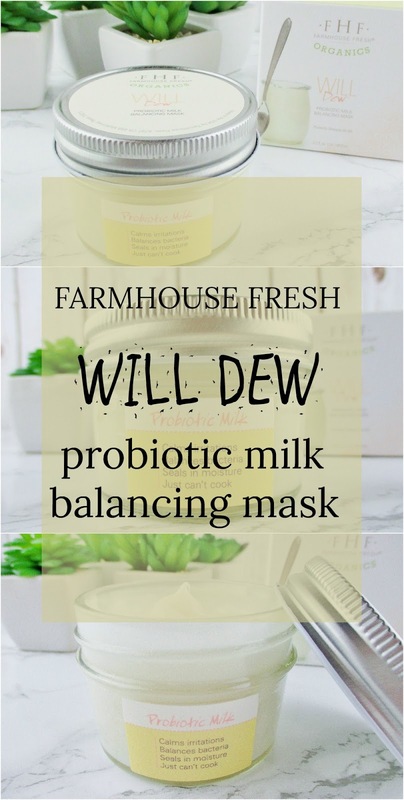 Farmhouse Fresh Organics Will Dew Probiotic Milk Balancing Mask is formulated with natural, organic ingredients that are free of GMOs, synthetic herbicides and pesticides as well as being paraben and sulfate free. Farmhouse Fresh does not test on fluffy creatures. I don't think that it is a huge secret that I love Farmhouse Fresh face, hand and body care products. They are beautifully packaged, carefully and ethically formulated, are effective and just downright fun to use. I hope that you will give this mask a try, I think that you and your complexion will really enjoy it. 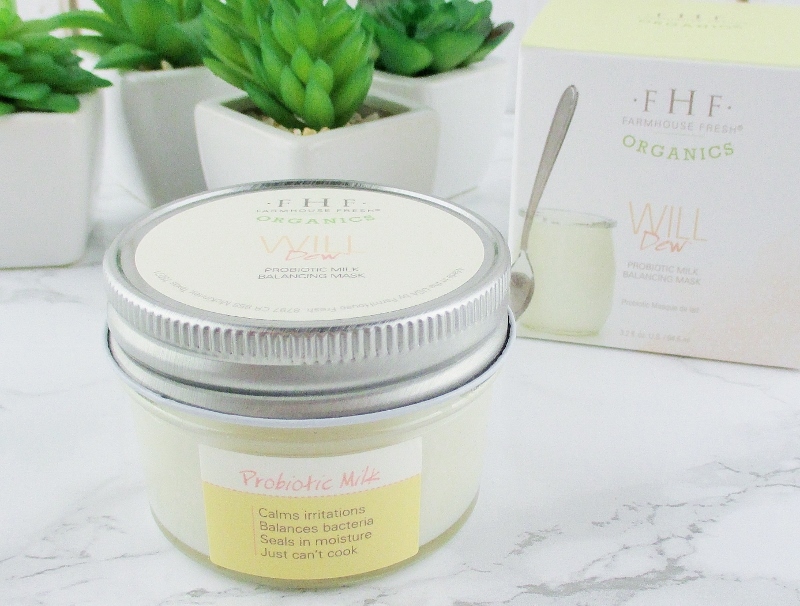 I've just been getting into probiotics on my skin (and in my belly)! You need this on your face! Your skin will feel incredible. This mask sounds phenomenal although I have sensitive skin and am a little unsure about it. This mask is amazing. I would say, if you are sensitive or very sensitive, test in a small area before you go all in. It is a little bit tingly but not painfully or uncomfortably so and the results are worth feeling it working. 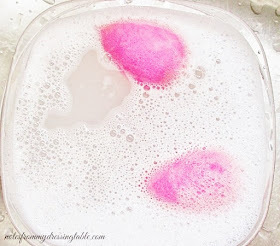 This sounds delightful and perfect for balancing out your skin pH. I really need to give this brand a try. My skin feels fantastic after I use it. Nice thoughts on this. It sounds wonderful. Oh my goodness. A mask from FHF that I don't have. That must be remedied. This sounds wonderful. This is wonderful. There is a scent but it's pretty soft so it may not but you. The results will make it worth it! I'm convinced FHF can do no wrong. I'm obsessed with everything I've tried from them. Same. Everything I have tried, I have loved. Oooooohhh I'm intrigued by this! It is so good. The effects last on my skin for days. I love this mask. Their body oil is wonderful! I think that you'd love this mask. It's effective and you can feel it working but it doesn't hurt and my skin feels amazing, after. Of course you can't cook - you're a blogger, an influencer and that is a 24/7-365 job. I'd love to smell this! Damn Right! 😂 It smells good, works amazing. This mask is amazing but everything that I have tried from FHF has been! I have yet to meet a FHF product I don't like. 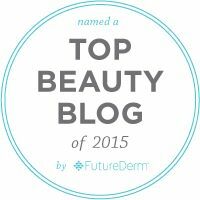 All of their products are so yummy on the skin. I could roll in this mask. I want a vat of it. I've been really into probiotics lately! They are so good for the skin, and I rarely used them before. I really need to try this brand! You rave about them and now I want! You must! It's an amazing brand and so far, I have yet to meet anything from FHF that I don't like. You should try it, it's wonderful. Wow!!! This sounds amazing and interesting! 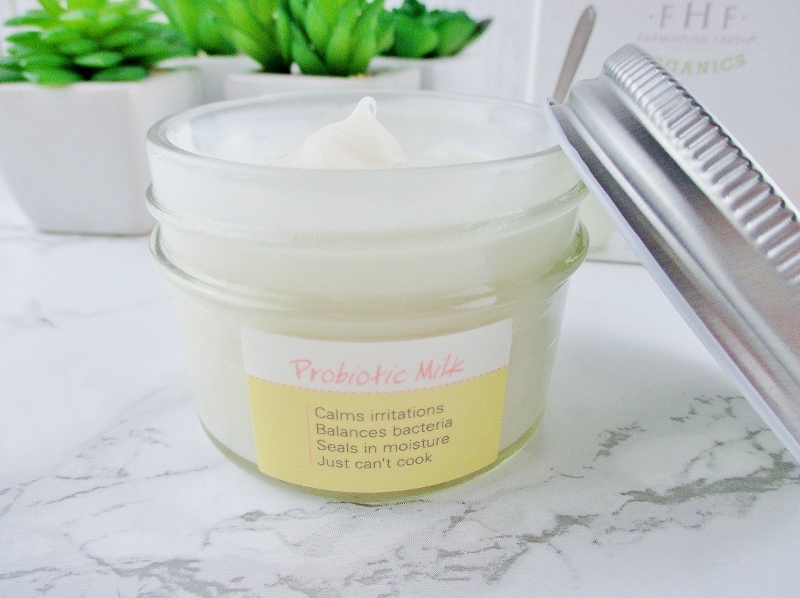 I also love the fact that the jar itself is reusable!!! Genius! I love those things, as well. I'm quite interested in this product, but as I have fairly sensitive skin I am a little hesitant. I have tried to find the ingredients but with no success. Would it be possible for you to provide it? Many thanks! While I can't guarantee that this mask will work for you, a couple of my blogging sisters have sensitive skin and love this mask. I'm so sorry that I can't provide an ingredients list but the ingredients aren't published on the website and I no longer have the outer packaging that had the ingredients listed.